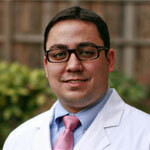 You have a choice when selecting a dentist in raleigh, and there are plenty to choose from throughout the Triangle. So why do we think that we can offer you the best possible dental experience? Most importantly, we place all our focus on the patient and make sure to provide a comfortable and informative dental experience for each and every person who walks though our door. We allow enough time to really get to know our patients and listen to their individual needs and concerns. We take the time to review treatment options so that you don’t leave simply being told what is wrong and what needs to be done, but truly understand why. We want each patient to be an active participant in their own treatment plan. 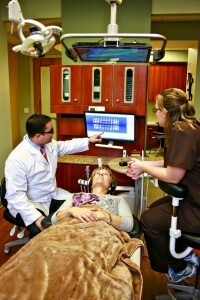 We use cutting edge technology to help patients visualize the state of their oral health. With our HD overhead monitors, we review every x-ray with each patient and point out areas of concern using our intra-oral camera and cavity detector. We aim to gain your trust and never recommend treatment without first explaining the details behind why we are doing so. You will never leave our office feeling like just another patient on an assembly line. If your looking for a better dental experience, make and appointment today with Dr. Staehling, and see for yourself what sets us apart!